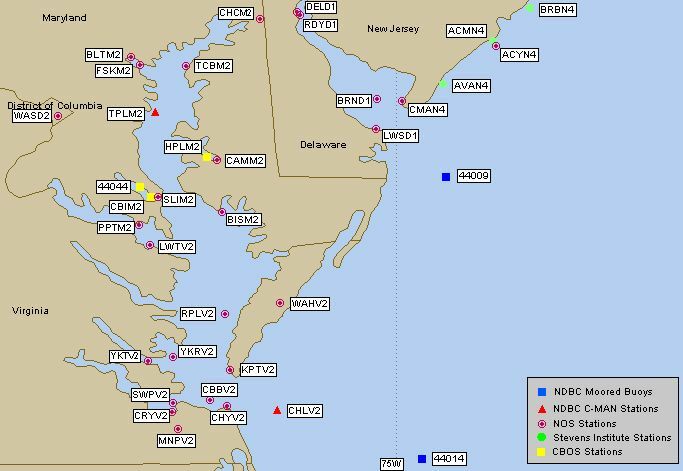 OCIM2 OCEAN CITY No recent reports. 44014 VIRGINIA BEACH No recent reports. CHLV2 Chesapeake Light, VA No recent reports. TPLM2 Thomas Point, MD No recent reports.